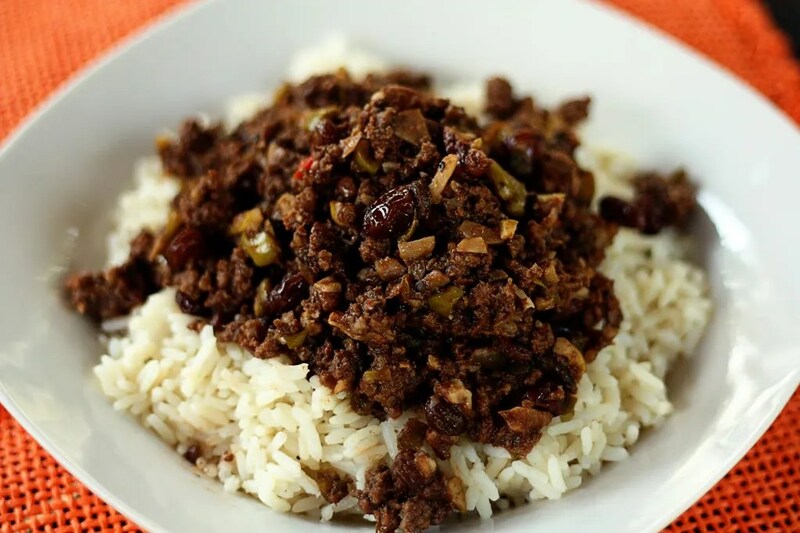 Picadillo is a traditional Latin dish that varies widely in it’s ingredients. 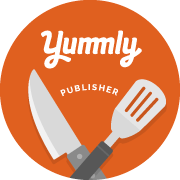 It’s usually made of ground beef and other local ingredients, including, tomatoes, onion, bell peppers, garlic, capers, raisins, manzilla stuffed green olives, and sometimes potatoes and nuts. It’s a frugal dish that stretches the meat. The first time I had Picadillo was in a Mexican restaurant in Austin, Texas, where I ordered a Chile Relleno (a stuffed poblano pepper). It was stuffed with a sweet and savory meat filling that included raisins, green olives, and pecans. I LOVED it! Since then I have been determined to replicate that filling. This recipe is almost exactly how I remember it tasting. I like to eat it over steamed rice, but it can be served warm as an appetizer with corn chips, or use it as a filling for peppers, tacos, enchiladas, or whatever you like. The traditional Cuban version is usually served with black beans and rice. Serve warm over steamed rice or with corn chip scoops or with tostada fixin’s. Heat a large skillet over medium-high heat and brown beef, with mushrooms, onion, bell pepper, and jalapeno pepper, stirring to break up. Once meat is thoroughly browned, add garlic, olives, raisins, cinnamon, oregano and cumin; stir to combine. Stir in red wine and tomato sauce and bring to a low boil, stirring often. Stir in sugar and pecans and simmer meat mixture on low for about 20 minutes, stirring often. Season to taste with seasoned salt and pepper.